Whenever I explain to someone what freeganism is, the person’s reaction is one of perplexity, disgust, shock, and/or outrage. Sometimes, after I have elaborated on the severity of food waste and its consequences, the person will respond with something like: “I guess I can understand that,” but will still seem wary of the idea and my enthusiasm about it. Like most things that challenge societal norms, it makes us a little uncomfortable. So, what is freeganism, exactly? A freegan is someone who chooses to use food suppliers’ discards as a source of food not due to economic necessity but rather to make a statement about waste. In simpler terms, they are dumpster divers by choice. Freeganism highlights the fact that grocery stores throw away perfectly edible foodstuffs for any of a multitude of absurd reasons. Perhaps an item was approaching its “sell-by” date – which, typically, means it’s still good for another 7-10 days – or a piece of produce didn’t look ‘normal’ or pretty enough to deserve a place on the store’s shelves. Aware of this, freegans decide to save themselves some money and make an important protest by getting their food from dumpsters. 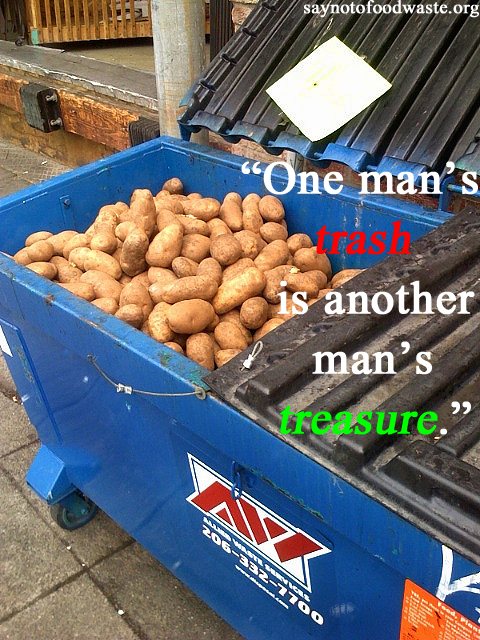 Lots of people are put off by freeganism for health and sanitation reasons. Of course, a freegan needs to be pretty food-savvy. Refrigerated foods and perishables are generally a no-go for obvious reasons, and everything ought to be thoroughly looked over and smelt to make sure it hasn’t gone bad. Packaged foods are probably safest, since their containers protect them from external contamination, but these should be looked up online for recalls, as they could have been infected prior to packaging. Nevertheless, the bins and bags behind stores are usually full of other rejected food products; scrounging them is very different from digging through a regular garbage can, the contents of which could range from cigarette butts to used tissues. As long as the rest of the bag contains safe food, there shouldn’t be any danger in taking food from it. Another argument is economic: freegans are getting their food for free, and grocery stores aren’t seeing a penny. However, this isn’t a fault on the freegans part: they just found a loophole in the very faulty food system. Instead of telling them not to take advantage of free food, shouldn’t we focus on redesigning the system so that there isn’t so much good food being tossed aside and up for the taking? Some grocery stores have even taken to spraying their discards with toxins specifically to repel scavengers. Spending more money to ensure that food goes to waste? The backwardness of this approach is, in my impassioned view, unfathomably stupid and unethical. I hugely admire freegans. My ethical, food-waste-fighting side makes me want to join their ranks, but unfortunately my inner chef and gastronomist would hate to live off of a limited selection. Still, my bucket list includes “Go freegan for a week,” so that I can get a sense of what it’s like, and to know that I’ve saved a couple of pounds of food from going to waste. Posted on September 23, 2014 by saynotofoodwastePosted in BlogTagged food waste, freegans, supermarkets, sustainability. Previous Previous post: What is authentic Tequila made with? 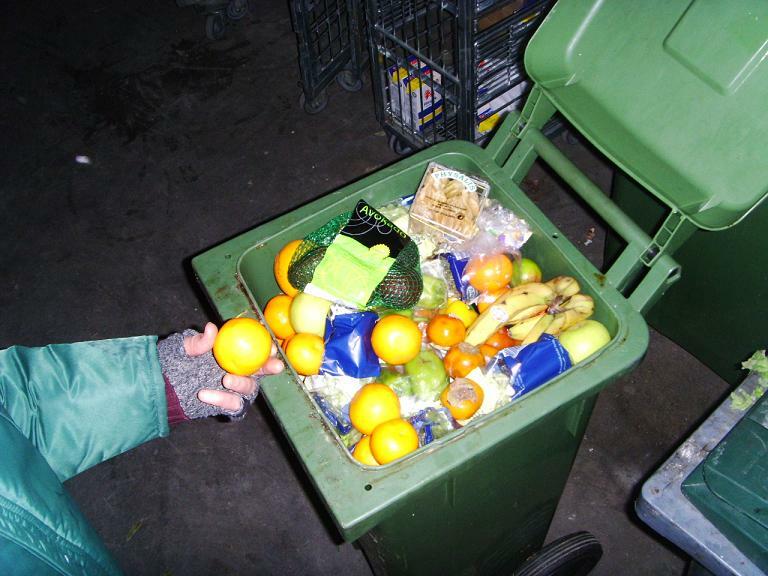 Next Next post: Two New Ideas To Combat Food Waste – Are They Any Good?